Hey my beautiful ladies, here is the new Elie Saab Pre-Fall 2015 Collection just for you. Elie Saab is like stylish magician that continuously is guided by the successful formula to realize the fashion fantasies of the women all over the world. With his Pre-Fall 2015 Collection, Lebanese designer Elie Saab enters the dark waters of romance and rotates around elements typical for the nomadic clothing. 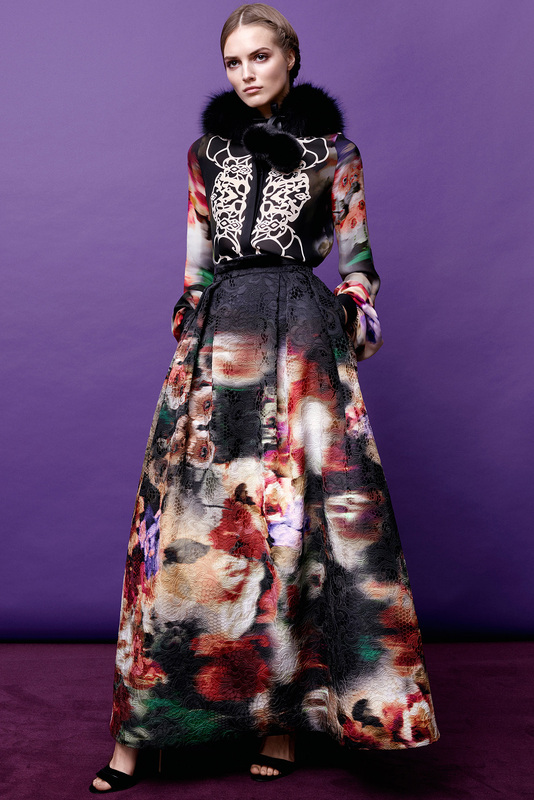 He began the show with black lace gowns embroidered in a red and purple floral pattern. Outerwear made an equally grand statement via fur jackets cut out to resemble lace and a black maxi coat featuring a delicate floral embroidery around the bodice. 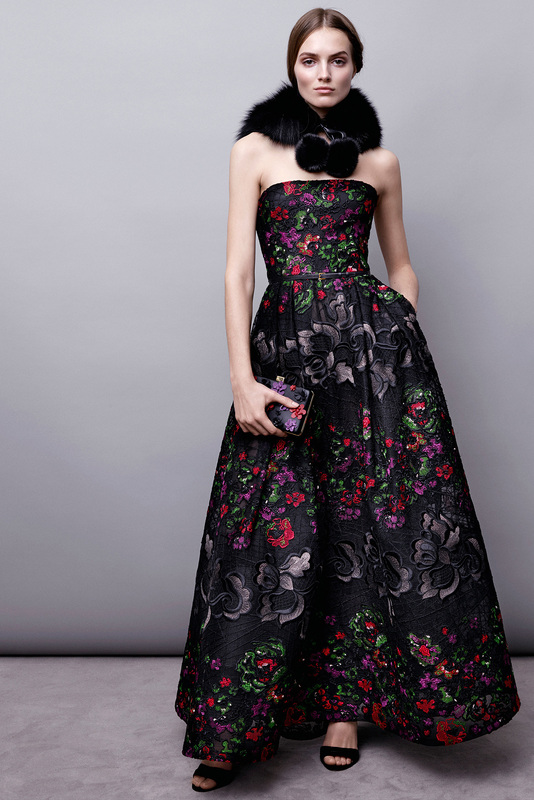 At the pictures below you can see the whole Elie Saab Pre-Fall 2015 Collection. Enjoy and stay up for more next time!